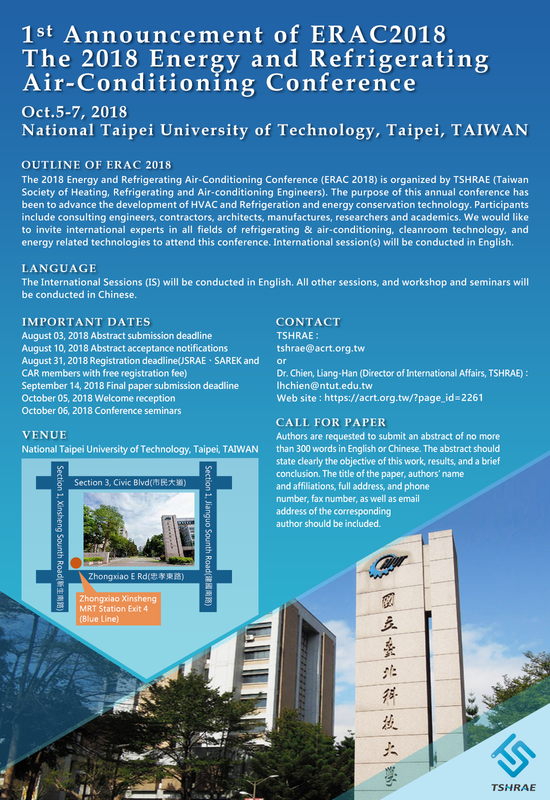 The 2018 Energy and Refrigerating Air-Conditioning Conference (ERAC 2018) is organized by TSHRAE (Taiwan Society of Heating, Refrigerating and Air-conditioning Engineers). The purpose of this annual conference has been to advance the development of HVAC and Refrigeration and energy conservation technology. 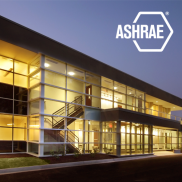 Participants include consulting engineers, contractors, architects, manufactures, researchers and academics. We would like to invite international experts in all fields of refrigerating & air-conditioning, cleanroom technology, and energy related technologies to attend this conference.